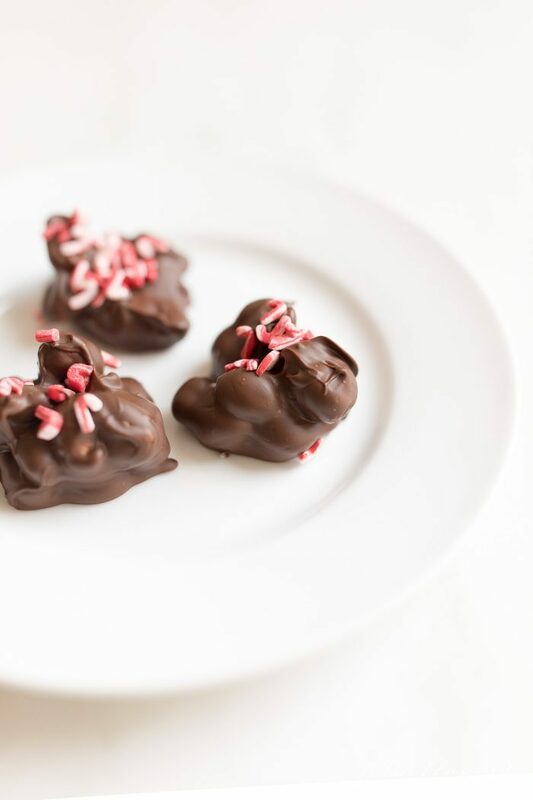 Peanut Clusters are one of the easiest Christmas candies to make and enjoy yourself or gift to friends, family and neighbors. 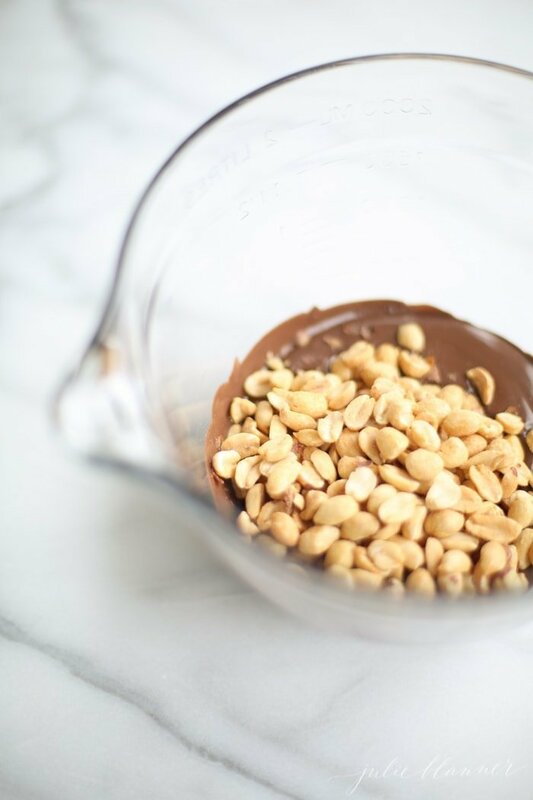 This Peanut Cluster recipe is simple and sweet, using only 3 ingredients. 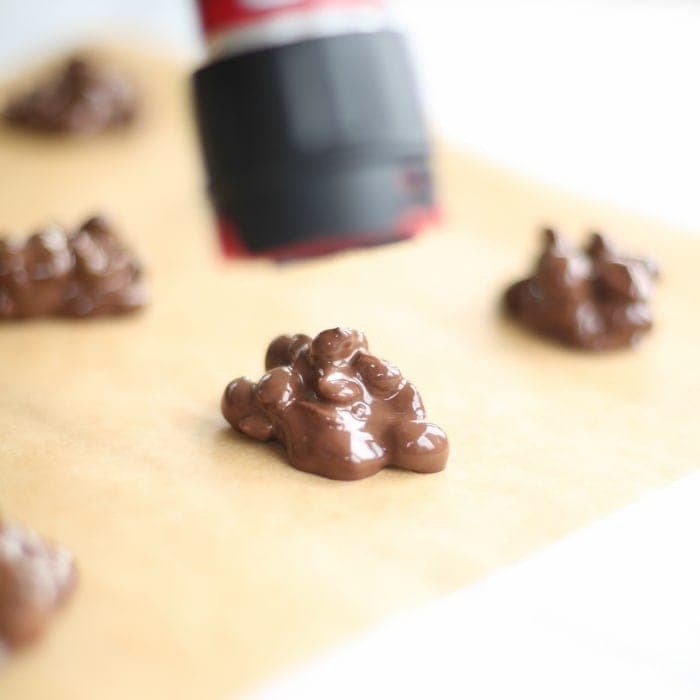 If you love all things sweet and salty, you will love Chocolate Peanut Clusters! Earlier this week I found myself out of town once again, and I had forgotten that Adalyn had an early release day. In the midst of a whirlwind of fun meetings, I did share with my sister what time the bus would be dropping her off. The bus driver went above and beyond to find out and get in touch with her with a time. It’s those little things that make life so much easier and I wanted to let him know how much we appreciate him. 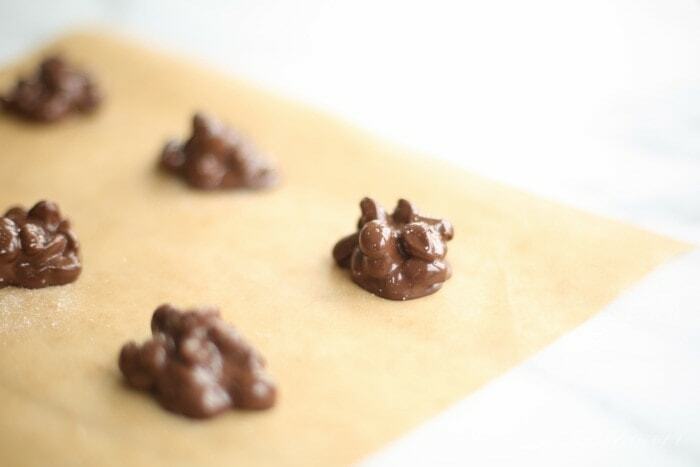 So I whipped up a few easy Chocolate Peanut Clusters. 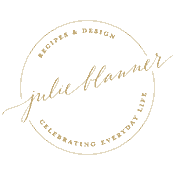 I know I’m not reinventing the wheel here, but you know my saying, sometimes simple is simply the best! Sometimes simple is simply the best. 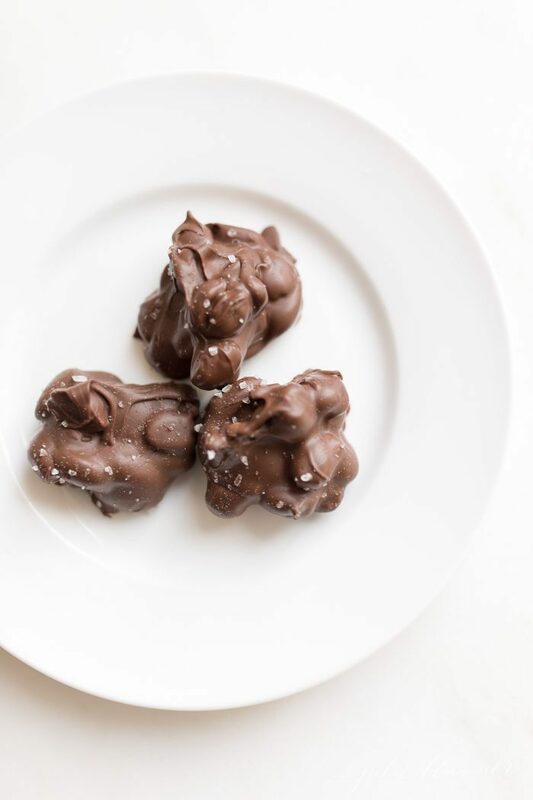 These lightly salted Peanut Clusters require just 3 ingredients – milk chocolate chips, dark chocolate chips, almond bark, or melting chocolate (your preference), salted peanuts and optional salt or sprinkles! 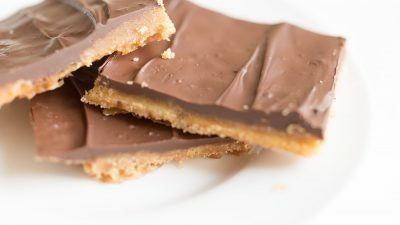 If you want, you can even mix in a few peanut butter chips for a twist. 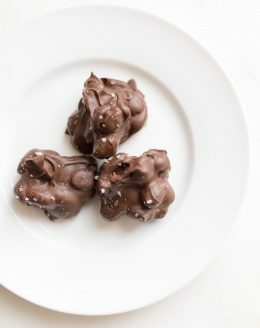 This Peanut Cluster Recipe takes 5 minutes to make and only few minutes to set before their ready to box or bag and gift! 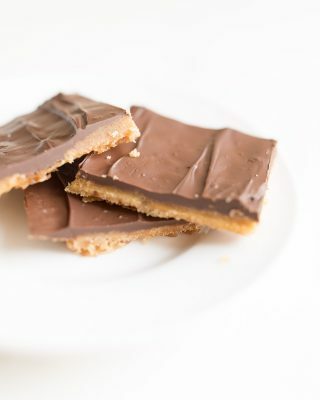 It’s no wonder why this easy recipe has become a Pinterest sensation! It’s such an easy recipe! 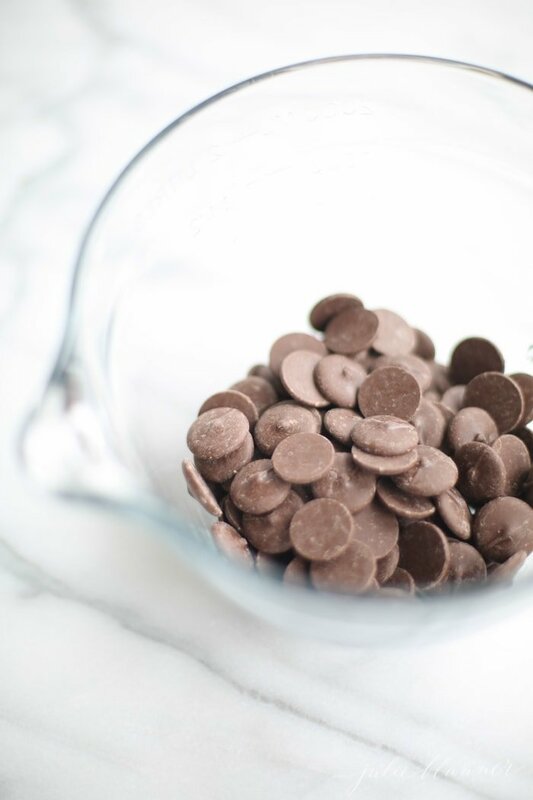 Melt chocolate (again, chocolate chips, almond bark or chocolate melting wafers all work well) in a microwave safe bowl in 30 second intervals. 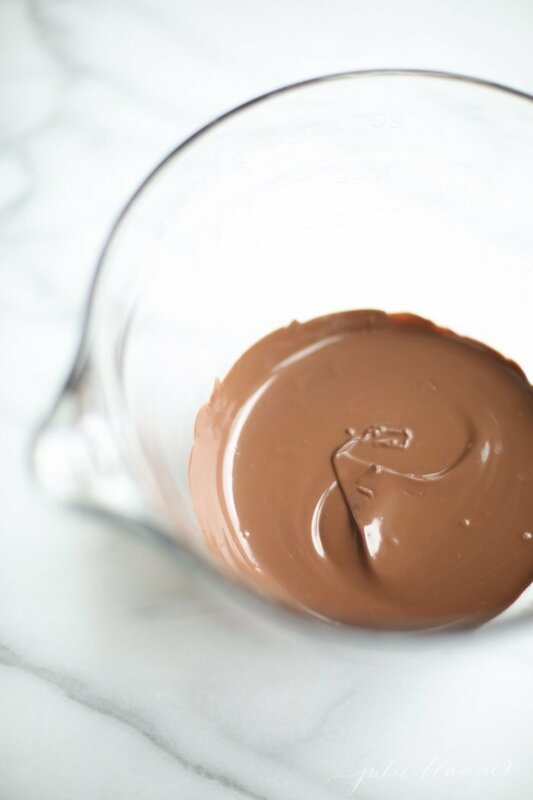 As the chocolate melts, reduce to 15 second intervals until it’s completely melted. If you prefer, you can use a double broiler or slow cooker but to keep this quick and easy, I microwave. 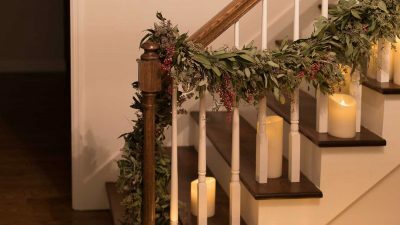 Drop onto parchment paper, wax paper or parchment lined baking sheets. Any will do! Bring to room temperature to set. 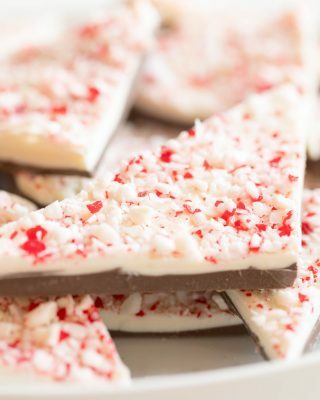 It’s one of my favorite giftable Christmas candies. 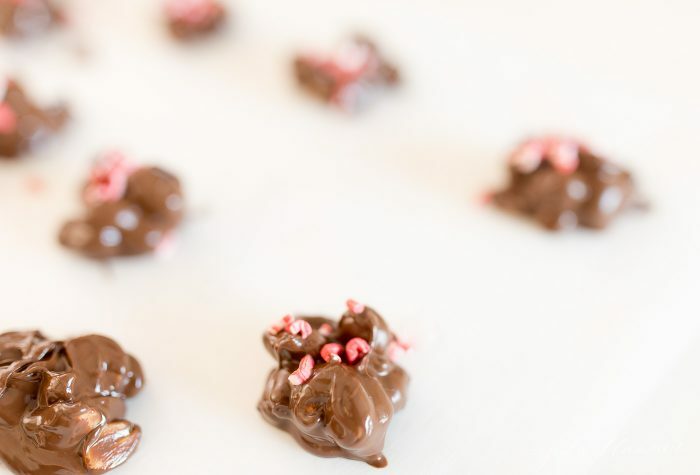 I hope to master mom’s peanut brittle and grandma’s divinity this year, but these foolproof chocolate peanut clusters will always be a staple. 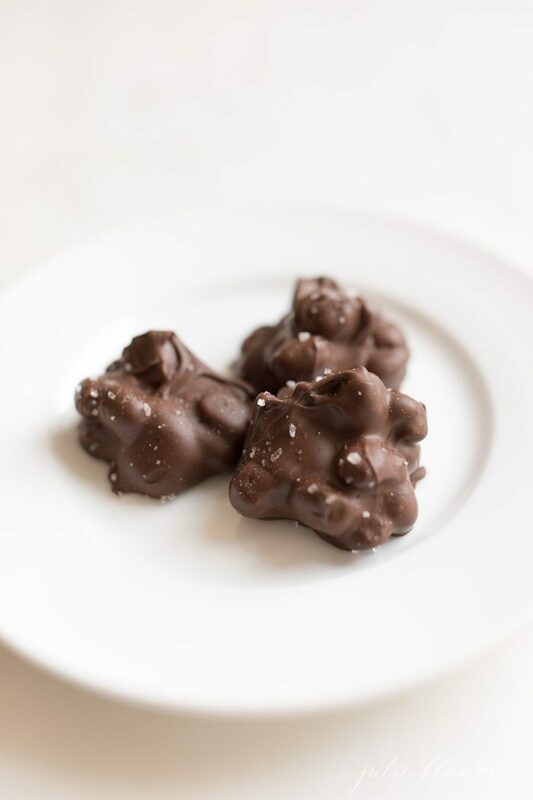 If you love this Chocolate Peanut Clusters recipe, please write a five star review and help me share on Facebook and Pinterest! Thanks in advance for your support! 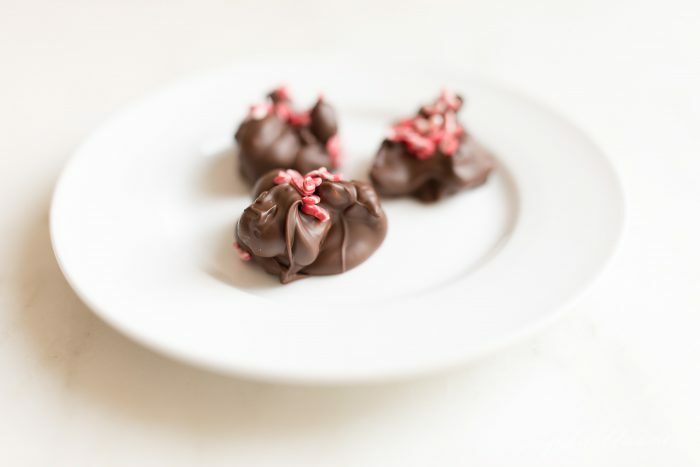 It’s these simple things that remind us of how chocolate should taste, the crunch of the nut and the sharp of the salt. Too many ingredients and we get lost in the flavor. 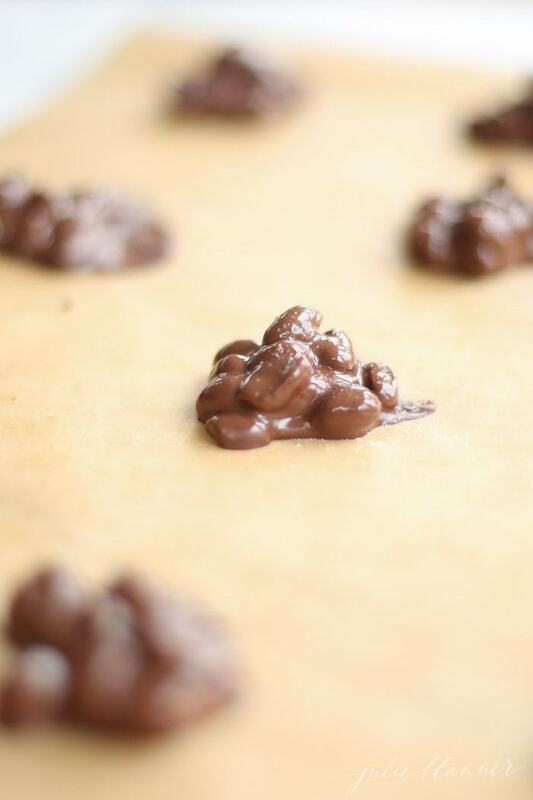 To see how easy this Chocolate Peanut Clusters Recipe is, watch the video in the post. 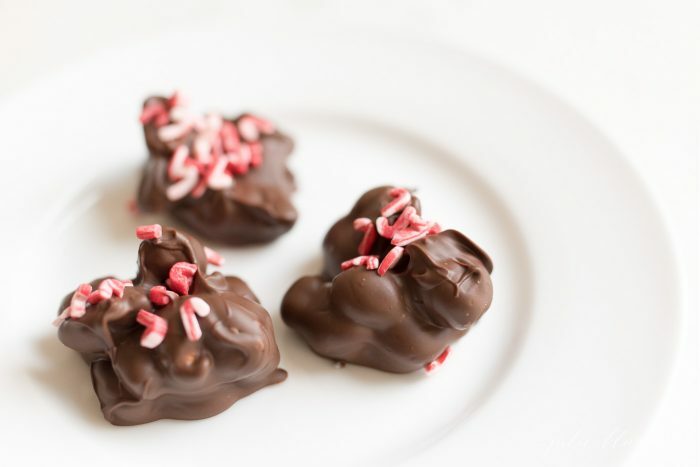 Peanut Clusters are one of the easiest Christmas candies to make and enjoy yourself or gift to friends, family and neighbors. 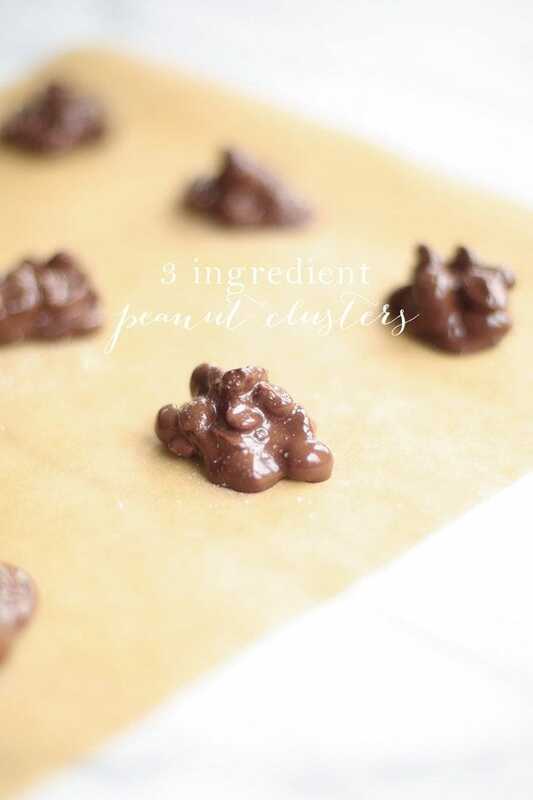 This Peanut Clusters recipe is simple and sweet, using only 3 ingredients. 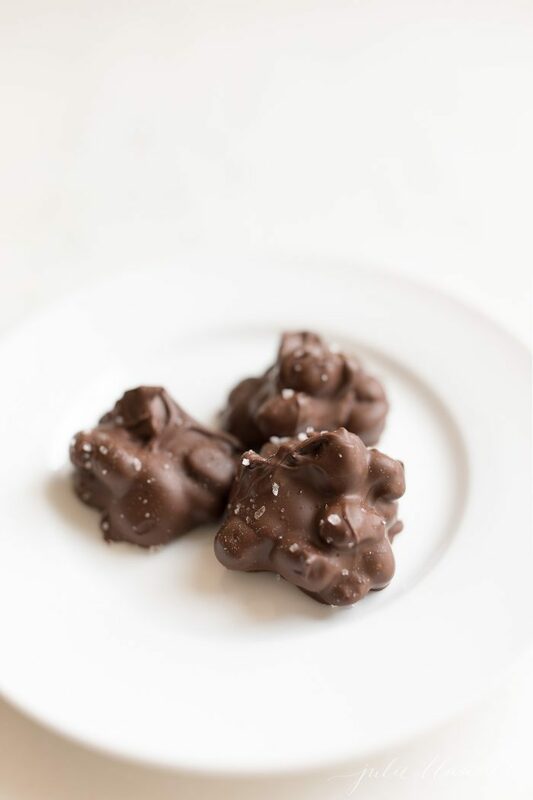 If you love sweet and salty, you will love these Chocolate Peanut Clusters! 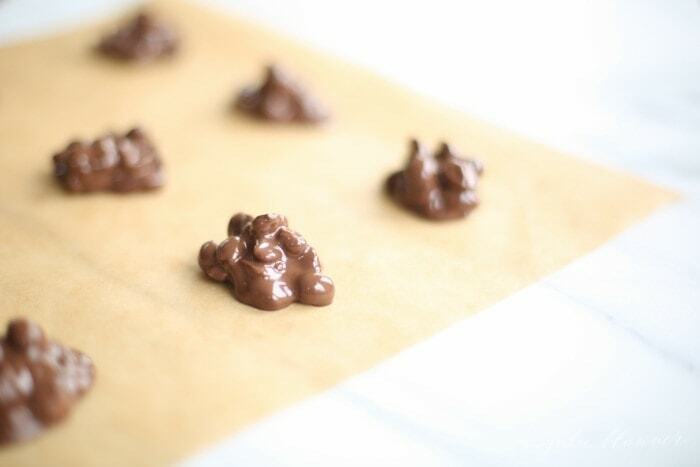 Melt chocolate in the microwave in 30 second increments, reducing as chocolate melts to 15 second intervals. Stir until melted and smooth. 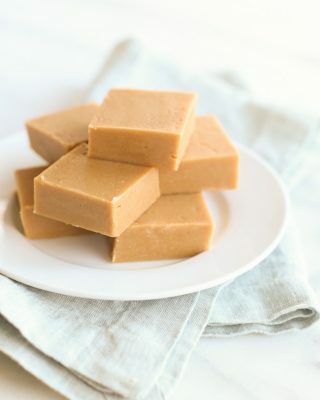 Using a teaspoon, drop onto parchment paper. Immediately top with fresh cracks of sea salt or sprinkles and allow to set. 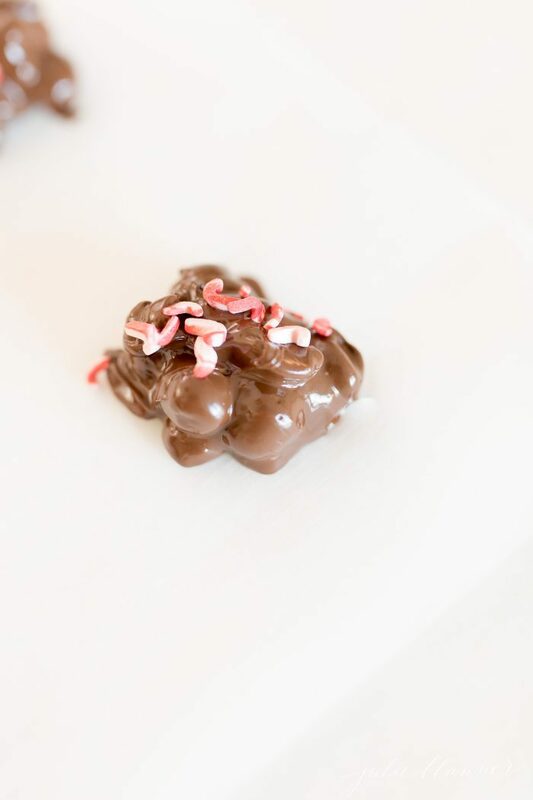 This is so quick and easy you don't need to, but you can make this a crock pot candy! 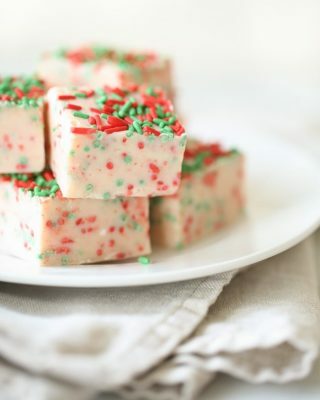 You can give them a little color and added crunch by adding sprinkles. You can also substitute half of the chocolate chips for peanut butter chips. The options are endless! How much sea salt do I use for peanut cluster recipe. I do 1-2 cracks on top of each cluster. Enjoy! Does it matter what type of chocolate you use? I had some semi-sweet chocolate chips on hand, would those work? What kind of peanuts do you use salted, unsalted or dry roasted? I usually use dry roasted, but it’s completely up to you. Enjoy! So true! Simple is simply the best! Hope you enjoy the holiday season! Made a batch of these for my Easter baskets!